2016 tour of Waynesboro and Roanoke! The Virginia Women’s Chorus is excited to announce our Spring 2018 Northeast Tour! We will be traveling up the East Coast, with stops in Washington, D.C, Philadelphia, and New York. 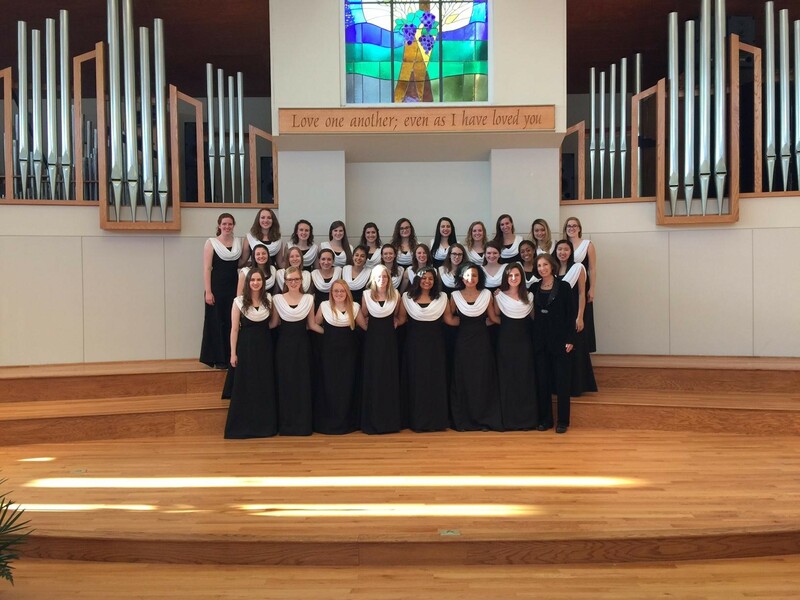 The Chorus begins its Spring Tour in NOVA with a Connections Sing Along for alumnae on March 3 (location TBA). All alumnae are welcome, and we look forward to both singing with you and hearing about your time in the Chorus! Next, we are heading to Philadelphia, Pennsylvania, to put on a concert for the Haverford area in a local church. We will also be collaborating with the Haverford College Chamber Singers in an informal concert. In addition, we will be singing at St. John Neumann in Bryn Mawr, PA.
Lastly, our tour will culminate in New York City. We will be singing as a feature in the Spring Concert of the Barnard-Columbia Chorus and Chamber Choir. We are more than excited to be singing with so many talented individuals and groups, as well as experiencing the Northeast Coast! For any questions about our itinerary, venues, or anything else, feel free to contact me through email or phone. If you would like to help out with any of our venues, or have any ideas, please feel free to reach out! I welcome any and all help from our alumnae.